« Bill O’Reilly: Professional Pinhead? This entry was posted on Friday, July 22nd, 2011 at 19:51 and is filed under Politics, Sarah Palin. There is endless speculation by the media, and even some pro-Palin groups have jumped the gun based on the sketchiest of details. The simplest, most honest answer I can provide is: “I don’t know.” Some folks, myself included, have speculated about the reasons she might be waiting, if indeed she intends a run at all. There are all sorts of theories, and I suspect all of them are wrong, including my own occasional pet theories. Through all of the speculating, theorizing, and what those of us who served in the Army called a SWAG, we’re not going to know if, when or why until Governor Palin decides to tell us. All we who support her need to do is prepare, and busy ourselves with the important task of making things ready. I’ve been asked by a few people why she’s waiting, anxious and impatient as they watch the other candidates for the Republican nomination jump in, raise speculations, and in at least one case, jump back out. Their reasoning is approximately this: “Everyone else is already in.” My answer to them is always the same: Firstly, we don’t know for certain that everybody else is in, and secondly, I don’t believe our standard of value in this case should be that against which our parents perpetually cautioned us: “Everyone else is doing it.” It brings to mind too many occasions of being asked if everybody else were to leap off a cliff, whether I’d follow. Do we really want a candidate who will do just as all the others? We who support her hold that Sarah Palin is different, and unique. Why should somebody so unique in her approach suddenly be made to conform to the media-driven template for what candidates ought to do? If being completely is a virtue, separating her from the typical establishment mindset, as we believe is the case, why would we now ask her to cast off this virtue in the name of conformity? By demanding entry on our timetable, are we serving our chosen candidate, or are we merely serving an all too predictable desire to be part of the herd? Back in May, I had this discussion with one close friend, who said: “Well, if she isn’t in by such-and-such-date, I’m going to go with such-and-such candidate.” I asked my dear friend if she was in a rush to get to the primary polling place, and since we’re in Texas, that will happen March 6th of 2012. I volunteered to immediately drive her to the location at which she votes. She laughed at my chiding sarcasm, and said: “You’re right. I don’t have to be herded into a next-best choice yet, do I?” As we spoke at length, I reminded her that if we wish to elect a candidate with a servant’s heart, strong of conviction, and faithful to her oath, we should serve likewise. As of this writing, my dear friend hasn’t wavered, and I don’t believe she will, because she too possesses a servant’s heart. As every hunter, warrior and veteran will know, sometimes, you must simply wait for your shot. You may only get one shot, so there’s no point in rushing it, as it will frequently cause you to miss your target anyway. I suspect this is part of what is guiding Governor Palin’s thinking. After all, you don’t enter an election with the intention of running. You enter an election with the idea of winning, and it’s best to pick your moment accordingly. I expect that if Governor Palin is going to enter the race, she will do so when she thinks most advantageous, because if she’s going to run, she knows she will want every possible advantage she can gain from timing. Remember, Governor Palin is a good deal more shrewd than the media narrative admits, and while unique, nobody is more conscious of the benchmarks and the time-lines involved. We trust her to run the country, so I’m certain we can trust her to pick her own moment. Part of the impatience is born of the seemingly endless waiting. It’s a bit like the old standard image of the expectant father pacing back and forth in the waiting area outside the delivery room for those of us who truly want to see this campaign, to be part of it, and to help rescue this country from the Obama disaster. Like the expectant father, however, we don’t know the pain of delivery, removed from it as we are, pacing in our waiting room. While we murmur about the lengthy wait, the real pain of a labor of love is going on unknown to us. What must she be considering? What must she be feeling? Just like the expectant father, we’ve lost focus on where the real worries are, and who is putting herself at risk. When we want a thing so badly for so long, with so much invested, we tend to wind up easily. I worry that while we all want to see Governor Palin announce her candidacy, some of us may be starting to sound not like the expectant father, but more like the impatient children on the back seat demanding: “Are we there yet? Are we there yet?” I’m certain that just as a good parent takes such inquiries in stride, knowing it’s due to passion for the destination, Governor Palin is aware that her cubs are a little restless, and she surely feels it too. After all, on those long road trips, who is more impatient than the driver, even if that impatience lies unexpressed? What shall we do while we wait? I’m not certain what some of you will do, but I know what a fairly large contingent of we Palin supporters have decided to do: Prepare. Organize. Prepare some more. After years of service in the Army, and years in fields where intensive preparations are critical to success, or even to survival, I realize there is always something more I can do. There’s always that ‘one more thing.’ There’s always that next little step toward the jumping-off point I can take. I can check my gear again. I can check my buddy’s gear. I can run through the steps I will need to take until I no longer need to think about it, and then think about it some more. I can look for another person to join my pro-Palin group. I can find another way to express how my chosen candidate is superior to others. I can contribute some money. I can take people who are on the fence to see The Undefeated. I can counter the media narrative. I can do a thousand things that will support my chosen candidate’s campaign, in preparation for the moment she enters through a formal announcement or a Facebook note. My waiting may be anxious, but it will be nevertheless faithful. Our nation is in crisis with this Obama disaster. I don’t think we can afford to settle for second-best. We’ve been down that road, and we’re not very happy with the result. 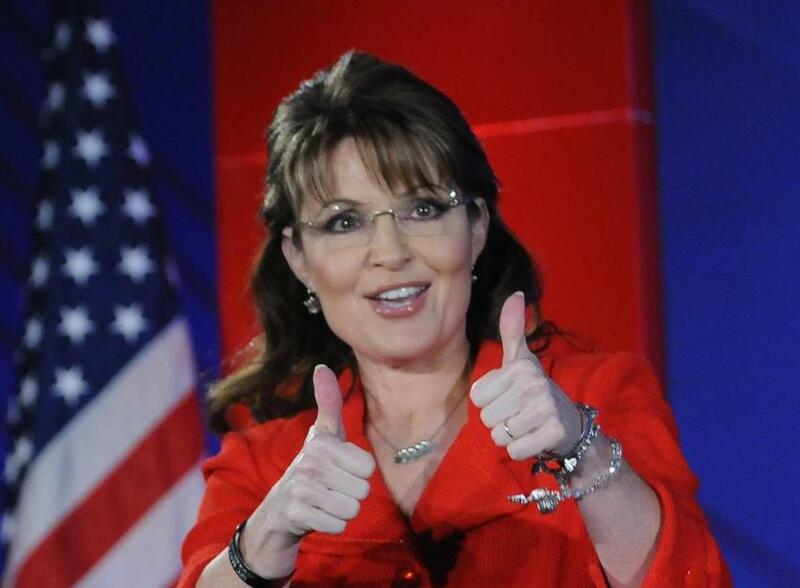 Sarah Palin’s a great woman, and a tremendous leader in whom I place the trust to help us save our nation. For that, I can wait a good while longer. 4 Responses to Will Sarah Run? Thanks, we needed this–another terrific piece!! i am certain she is running! Thank you for a fabulous piece on the Governor. Yes, I know that we can trust her timing and instincts on this HUGE decision.